Garner will have two events in 2015 involving food trucks. However, why food trucks and why the locations selected? I wondered why they chose the specific locations and wandered more into it. Last October, you may have remembered a great food truck event, “Trick or Eats”. 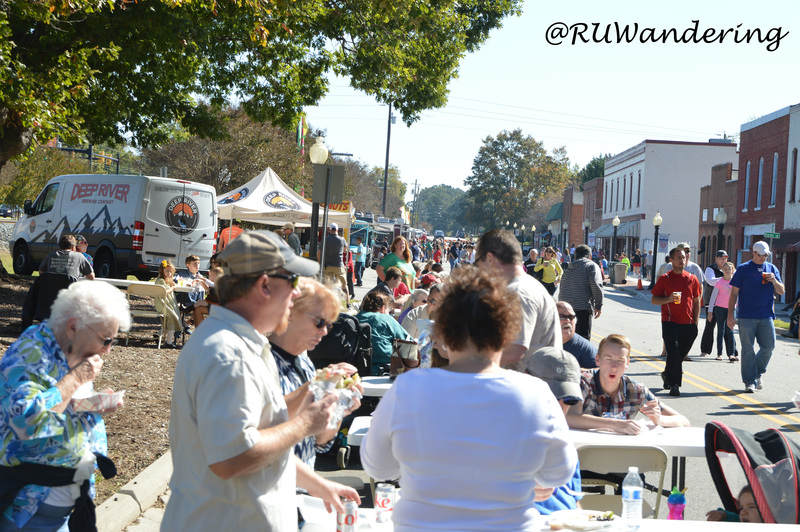 The event had plenty of seating and live music, all on a closed off Main Street in Garner. In my eyes, it looked like a well-organized event for the community. There’s more to why a food truck rodeo and the location selected by Garner for their first food truck rodeo. For the why, we wind back our wristwatches. The Town of Garner refers to the area north of US 70 as North Garner. Within the North Garner area contains a uniquely shaped downtown area. With a unique shape, attracting people back to downtown presented challenges. In order to address those challenges, the Garner Revitalization Association (GRA) formed in 2005. Through their initial efforts, they worked toward an accepted North Carolina Main Street Plan, a program organized by North Carolina’s Department of Commerce. The accepted program, Garner Main Street Program, was created in 2009 and focused on revitalizing Garner’s core. One of the successes is the accreditation every year since 2011 by the National Main Street Center. However, how do you showcase all this work for everyone to see? Garner organized events such as Christmas tree lighting, concerts, and other events. However, the attendance’s impact seemed less than anticipated. Garner asked: How do we make a larger impact? During the Trick or Eat event, I had opportunity to check out some of the revitalization. Outside of Garner, other surrounding towns and cities were turning to food truck festivals as community events. What if Garner organized a similar event? This is when last year’s Trick or Eats event entered the planning stages. The result thousands seeing one of Garner’s focused areas, the Historic Downtown Main Street, in a four-hour span. Some of those thousands saw Garner’s historic area for the first time (including me). Another sign of success, a food truck owner returning to the area and analyzing further viability of a non-mobile location there. With Trick or Eats’ success, Garner reviewed their 2015 event calendar. 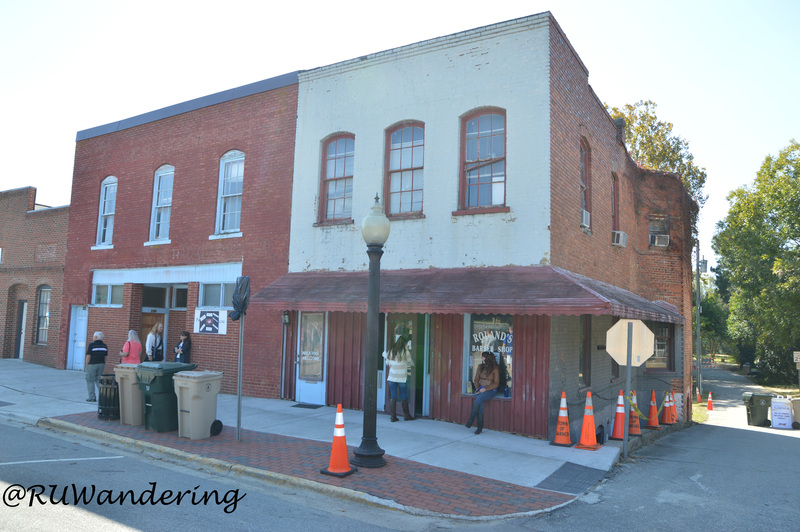 How can we focus on another North Garner’s revitalization? Trick or Eats, a fall event, will return to the Main Street area; however, what about the area near the Garner Performing Arts Center? The event Downtown Sounds enters the calendar. Downtown Sounds will showcase the revitalized Garner Performing Arts Center. The town invested millions to transform the former Garner High School, a Wake County landmark, into a 471 seat intimate auditorium. Downtown Sounds is on the adjacent lawn with musical acts as well as a well-rounded selection of food trucks. I am excited for June 7th. Prior to Trick or Eats, my Garner experiences were limited to the White Oak shopping center. As you may have noticed, that experience changed last year after discovering historic Main Street for the first time. I am excited to be Wowed again for Downtown Sounds with the work on the performing arts center. Live Music: Spare Change, Nick Driver, Jonathan Byrd and the Pickup Cowboys, and More. Want to make an impact in Garner?